At Site Safety we offer a full range of site safety equipment to cater for the construction industry. Products targeted at this industry include height safety equipment, ZoneSafe Proximity Warning & Alert Systems along with our ladders and lifeline range. Site Safety is the sole distributor in Ireland of the ZoneSafe Proximity Warning & Alert System. This system aims to prevent accidents on site between vehicles and pedestrians thus reducing the risk of fatal injuries to workers and pedestrians. Accidental collisions between industrial vehicles and pedestrians still remains one of the main causes of series injuries and fatalities on-site. There are many possible reasons for these incidents including poor Visibility due to blind spots and transporting large loads. There are also environmental factors including the layout of the site, condition of site and the current systems in place not having the desired effect to prevent such accidents. 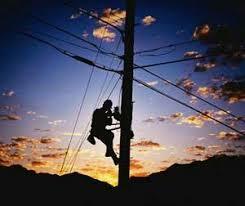 At Site Safety we assess all these variables and offer a customize solution for each site, as no site is the same. Site safety plays an important role in any project from conception to completion. Since the introduction of the 2006 Construction Regulations, construction projects now have a regulatory requirement to provide a full safety management system for all aspects of the project and for the full duration of the project. 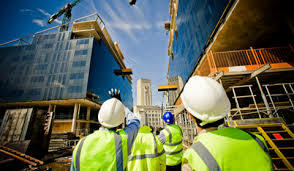 The responsibility of ensuring the safety of the workers on any site is often left to the project management team and that is where Site safety is here to help. The ZoneSafe Proximity & Alert System helps to reduce accidental collisions by informing the vehicle operator when a pedestrian is nearby through the use of a ZoneSafe unit in the cab control and an active tag worn by the pedestrian. By introducing this system to the planning process for site projects, companies can help reduce the risk and increase the safety for the project, thus bringing peace of mind to the clients and the workers. At Site Safety we realise and understand that utility companies have the most diverse array of requirements of any market sector. Being a distributor for Tractel products in Ireland and Europe we can offer our clients the right product for any application. We have revolutionized the height safety industry in Ireland by supplying Tractel harnesses, lanyards, blocfors and anchor points which have an SWL of 150kg and also have no lifespan once they pass thorough examination. Robust product designs, practical and functional user attachments, comfort and flexibility along with informative user manuals are only some of the features promised with the Tractel range. Site safety is not just for construction sites, our primary business comes from workplace environments such as manufacturing, packaging, food and pharmaceutical facilities. We provide services such as racking testing and examination along with inspections, testing and repair of lifting, material handling and height safety equipment. We are the leading supplier in Ireland for supply and installation of proximity warning systems on forklifts and plant machinery within factories.